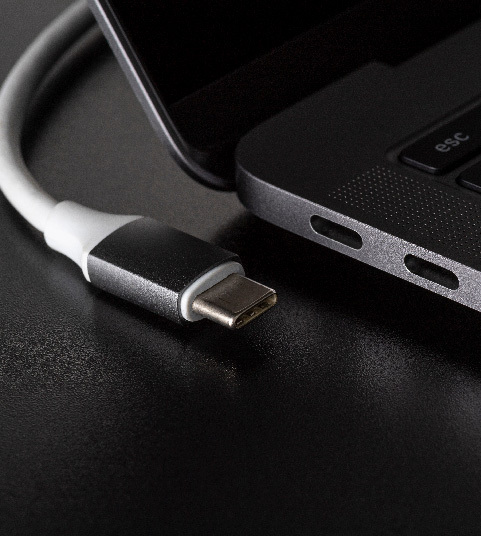 As there is a grand variety of cables and connectors, Allion provides certification services for numerous internationally-recognized standards: Thunderbolt, USB, HDMI, DisplayPort, and MHL. Whether the connector or cable is used for IoT, computers and peripheral products, or even IVI (In-Vehicle Infotainment), we offer comprehensive solutions for each industry. Allion provides consultancy for your cables and connectors. Our assistance starts way back in the early developmental stage, and by conducting thorough validations on high-frequency signal, mechanics and electrical characteristics, and environmental tests, we can help our consumers get relevant certifications in the shortest time possible. Electrical characteristics play a key role in the transmission quality of cables and connectors. Among them, high frequency signal test is the most troublesome for cable and connector vendors. 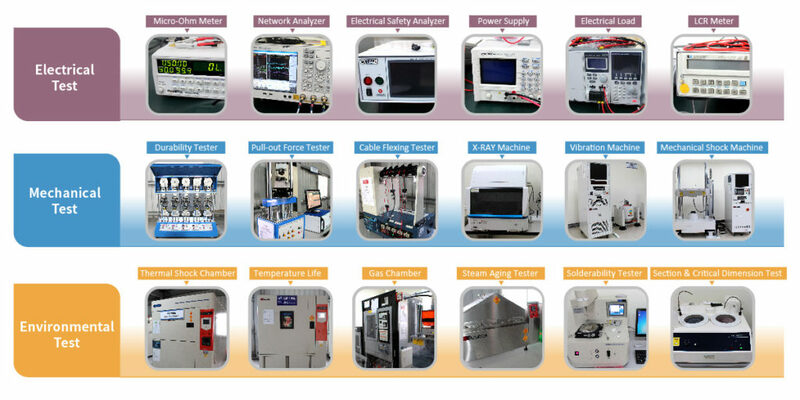 At Allion Labs, we have high-end testing equipment and experienced engineers that specialize in high-frequency signal test. Allion develops fixtures specifically designed for mechanical testing. The 4 Axis Continuity Test and the Wrenching Strength Test fixtures are designed simulate the product life of cables and connectors, allowing engineers to determine cable and connector durability in terms of how well they resist to pulling, crushing, impacts, twisting, and bending. By conducting environmental tests, we can examine whether cables and connectors can operate normally under extreme environments, for instance different levels of temperature, humidity, pressure, etc. Allion also provides mixed gas corrosion test. As high-speed transmission technologies are getting more popular, the design and validation of cables and connectors have become far more complex. We need fixtures to carry out tests, for instance signal interference and attenuation tests, so to find the critical issues in the early developmental stage.